The Spring 2013 Advanced Courses Program will be held April 7-13, 2013 at the Hyatt Regency Grand Cypress in Orlando, Florida, and 14 excellent patent law courses will be offered, including thirteen 3-day courses and the 1-day blockbuster course, America Invents Act: Monumental Changes, the Consequences and the Unanswered Questions. Now is the time to register for this Program, since you can save $100 on any 3-day course by registering now through February 6, 2013. For PRG attendees, we are offering an incredible room rate of $199.00 (single or double, plus tax) at the Hyatt Regency Grand Cypress. The rate is available through March 15, 2013, but we encourage you to reserve your room early to ensure a reservation at the discounted rate. Today we’ll take a closer look at the extremely popular one day seminar that analyzes the monumental changes to patent law brought about by the America Invents Act (AIA). Continue reading to learn all the details about America Invents Act: Monumental Changes, the Consequences and the Unanswered Questions! Register Now for the Spring 2013 Advanced Courses Conference and Save $100 for Each 3-Day Course! The course list is now available for the Spring 2013 Advanced Courses Conference, which will be held April 7-13, 2013 at the Hyatt Regency Grand Cypress in Orlando, Florida. We will offer a total of 14 courses (thirteen, 3-day courses and the 1-day blockbuster course, The America Invents Act). Take advantage of our lowest Conference prices available now through February 6, 2013; after that date, the price will increase by $100 for each 3-day course. For PRG attendees, we are offering an incredible room rate of $199.00 (single or double, plus tax) at the Hyatt Regency Grand Cypress. The rate is available through March 15, 2013, but we encourage you to reserve your room early to ensure a reservation at the discounted rate. 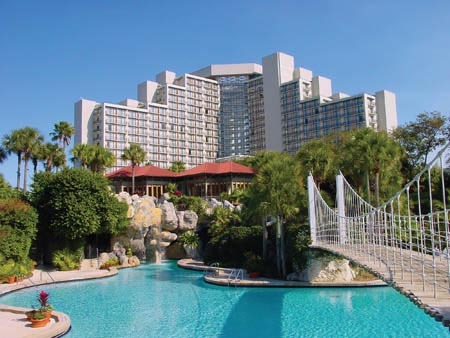 The Hyatt Regency Grand Cypress is a luxury resort that spans 1500 acres in beautiful Orlando, Florida and is located approximately 18 miles from Orlando International Airport. The resort offers many opportunities to unwind and is just minutes away from Orlando’s theme parks and other attractions; and offers a complimentary shuttle to Walt Disney World, Universal Orlando and Sea World. The resort also boasts world-class restaurants, many outdoor activities and complimentary high-speed internet access. Hyatt Regency Grand Cypress in Orlando, Florida. Learn more about each course and register online. Learn more the Hyatt Regency Grand Cypress.